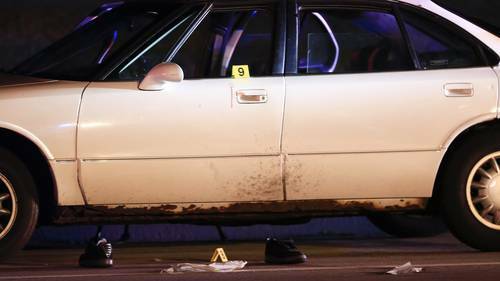 State authorities say they've turned over their findings into the July 6 shooting of Castile by a St. Anthony police officer. Ramsey County Attorney John Choi must now decide the next steps as he weighs prosecuting the officer. Pence thanked “Norwood University” for hosting the debate. It is Longwood University. NPR's politics team, with help from reporters and editors who cover national security, immigration, business, foreign policy and more, is live annotating the debate starting at 9 p.m. ET. Indiana Republican Gov. Mike Pence and Virginia Democratic Sen. Tim Kaine meet this evening for the only vice presidential debate of 2016. But expect the 90 minute face-off at Longwood University in Farmville, Va., to be as much about Donald Trump and Hillary Clinton as it is about the men vying for the No. 2 job. Both will have to defend their running mate's controversies, but for Kaine the job may be easier. The Democratic vice presidential nominee may be asked about Clinton's controversial email server, but the more even-tempered Pence will have to defend Trump's controversial comments over the past week, including personal attacks against a former Miss Universe and on the Clintons' marriage. 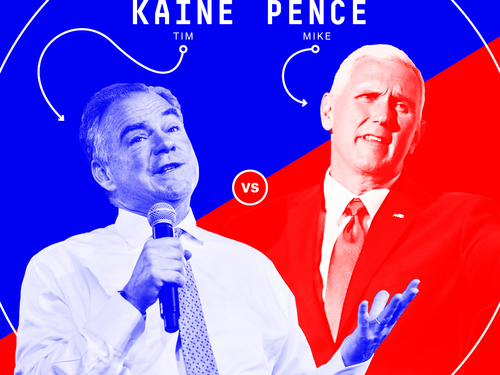 Both Kaine and Pence aren't the traditional "attack dogs" that many VP nominees embrace. Instead they're both affable and more relatable than the top of the ticket, and it's expected to be a more civil affair than last week's first presidential debate, where barbs flew throughout the evening between Trump and Clinton.